One of the most important digital events on the government calendar, digital transformation leaders from across government and public sector organisations will converge at Wellington Stadium from 14th-16th May 2019 at the 3rd Annual Government Digital Transformation NZ Summit to discuss digital service delivery, citizen engagement and user experience. Focusing on digital and data transformation through embracing transformational change, collaborating with district councils and health boards and the federal government, this two-day conference features high impact plenary and streamed sessions on change management, service design and delivery, design thinking, cloud transformation, cyber resilience and digital identity, IoT and smart solutions, omni-channel experiences, and much more. If you are a professional working on digital transformation in central or local government, statutory authorities, or DHBs, come to learn and engage with like-minded people that share a passion for building the digital future of New Zealand. 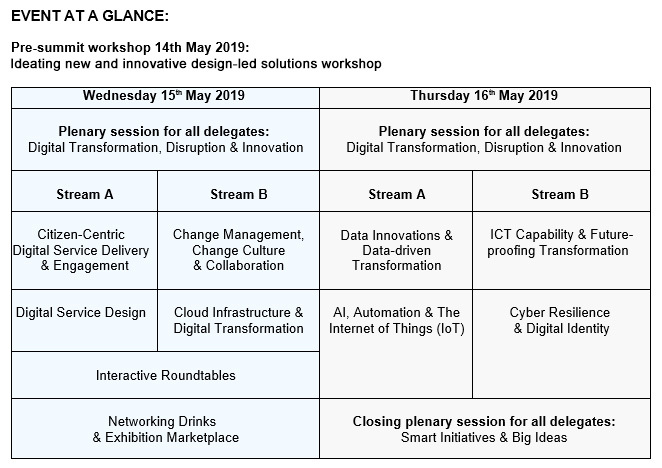 To maximise time out of the office, a pre-conference workshop will be running on 14th May on ‘Ideating new and innovative design-led solutions’ that will benefit those at all stages of designing a digital transformation solution for their end-users. Why Attend Government Digital Transformation NZ? Who Should Attend Government Digital Transformation NZ? Why Sponsor Government Digital Transformation NZ? Do you need to engage and promote your brand and products to key Government and Industry decision-makers developing New Zealand’s digital capabilities? Sponsoring the conference, or even taking an exhibition stand, is a fantastic way of raising your company’s profile within the industry and creating greater awareness of your brand. 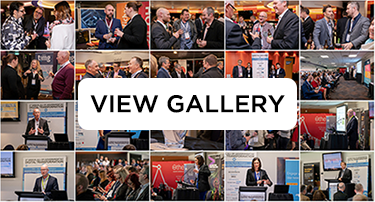 Outside of the conference rooms, the 3rd Annual Government Digital Transformation NZ Summit will see a larger focus on marketplace connections between Government and suppliers. In fact, we’ve tripled the exhibition space, meaning more opportunities for networking and connections. The conference program itself also has increased scope for the opportunity to speak, join a panel, or host a roundtable discussion. The Government Digital Transformation NZ Summit is the result of months of industry consultation and independent research and will address compelling issues that will be delivered by industry leaders and experts. It will feature speakers from a carefully selected range of organisations, with each speaker chosen for their unique insights, leadership and valuable experiences, and is a significant opportunity to exchange ideas and network in an informal environment. Sponsoring gives your organisation authority in your industry and boosts your credibility. Your brand will be seen throughout the event and attendees will be eager to learn more about your business. Attracting over 180 senior decision makers in 2017 and 2018. The 2019 event, co-located with The Developing New Zealand Summit, is your opportunity to develop strategic partnerships with key industry decision makers. As a sponsor your name and logo will be used during these outreach campaigns, which provides the opportunity to generate media exposure and increase your company’s brand awareness. Sponsoring the summit is a great way to generate quality leads because they’re full of people actively seeking solutions to challenges in planning and developing digital transformation initiatives. Sponsoring the Government Digital Transformation NZ Summit will be cheaper and have a higher ROI than other advertising methods. Why? Because this event has a very specific and highly engaged target market. For more information on sponsorship opportunities please contact saul.dollimore@aventedge.com or call +61 4 8882 4484.